OK, we have all made it half way through the school year but, if you are anything like me, the wheels are starting to fall off our ‘systems’ that help ensure our three little ones get to school and daycare each day. So I thought it timely to share (again) this fab post from The Organised Housewife. 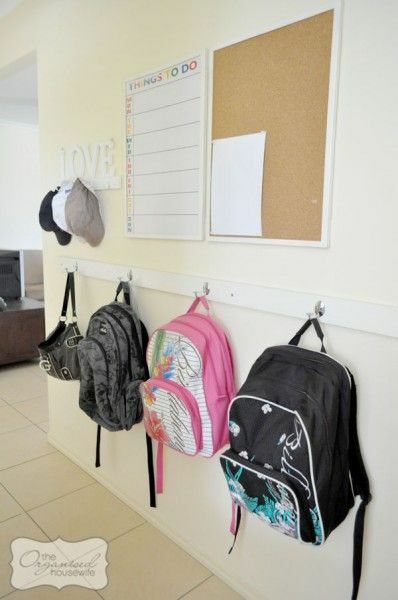 What’s your best tip to keep your kids organised during the school term? This entry was posted in family stuff and tagged back to school, homework, organisation, organised, school term by rudyandthedodo. Bookmark the permalink. Thank you for sharing lovely, love this space we have! !